I’m sorry for the lack of good images of the final pickle—I inadvertently deleted some of the photos from my camera before importing them. Hope that doesn’t stop you from trying this recipe! In a medium bowl, combine the shoyu, vinegar, sugar, and sesame oil. Whisk until sugar has dissolved and set aside. 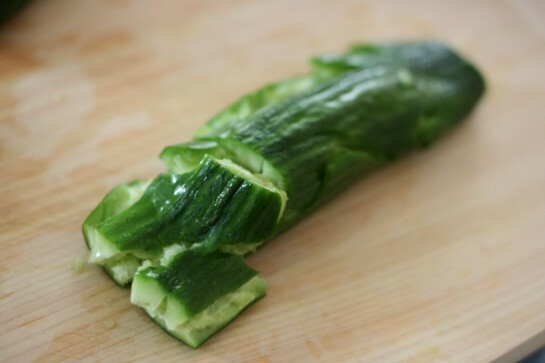 With a rolling pin, smash the cucumbers, then cut into bite-sized pieces. 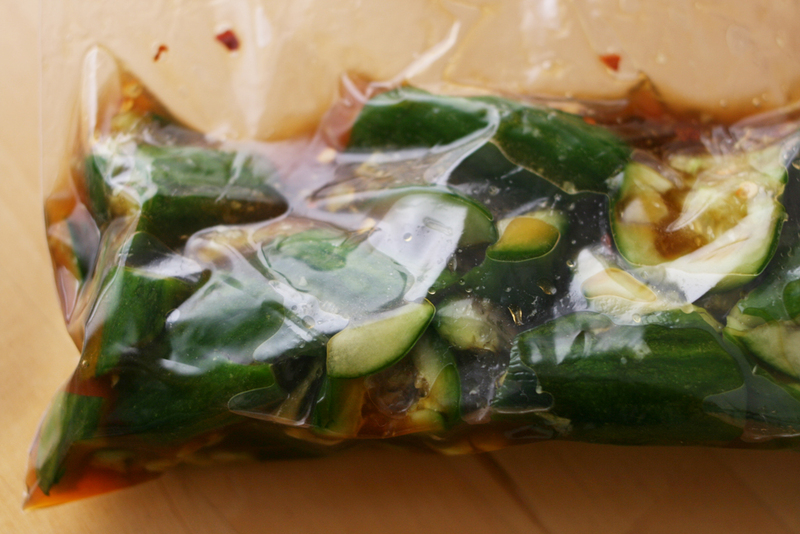 Put the cucumbers in a plastic bag and pour in the shoyu mixture. 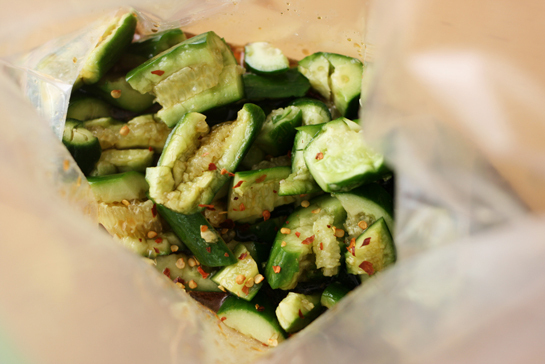 Add the red pepper flakes and squeeze the air out as much as you can and seal the bag. Massage a bit, then place in the refrigerator for 2–3 hours. This entry was posted in Appetizers + Snacks, Contemporary Recipes, Favorites, Pickles, Vegetables and tagged cucumber, easy, pickle, quick, rice vinegar, sesame oil, shoyu, sugar. Bookmark the permalink. Post a comment or leave a trackback: Trackback URL. These sound perfect. As it happens, I just made tataki gobō the other day. ’tis the season for taking out one’s aggression on vegetables, I guess! Emma, I’ve never had tataki gobo. Sounds so intriguing! You’re sweet to say so, Sissi! Hope you enjoy these! This sounds so similar to a dish that Lao people make. Only we smash it up like green papaya salad! Thank you for sharing this recipe, I have to try it out! I simply love pickled cucumber. I made this the day before yesterday and quickly finished the whole bag. Thank you for a delicious recipe that I’m sure I’ll make again many times. 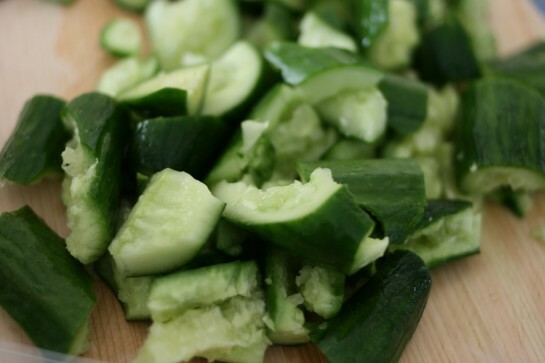 Smashed cucumbers are a family favorite. Im not a good cook but trying to be. Glad to see your recipes again. Look forward to seeing more of your ono (good) recipes. Sandra, thank you—it’s nice to be back in the swing of things. I hope you like the recent recipes. Happy cooking!